To get started with this AdSense method, you’ll need two things. The first thing you need is a website, preferably a blog but not required, that you’ll use to run your AdSense ads on. 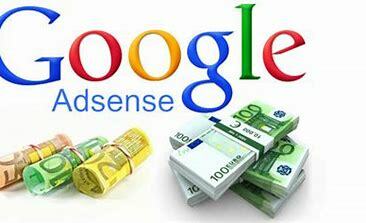 Make sure your AdSense account is approved before getting started with this method. The second thing you need is a Microworkers account. Verify your Microworkers account if you haven’t yet, doing so will speed up this process. You can choose to invest $10 into this method to make things easier and quicker, or you can choose to do it the longer way which requires no investment at all. Sign up to microworkers.com. Start a campaign if you opted to invest the $10. If not, complete some jobs to acquire the required money in order to start a campaign. What is expected from Workers? 2. Click on 2 of the banner advertisements anywhere(in the articles, in the header, on the front page, etc.) on the site. Once you’re done setting up your campaign, click Sumbit Campaign. You don’t need to do the following, but it helps in speeding up the process. Once you’ve submitted your ad, click on Support in the upper right corner, scroll down, and click Submit A New Message. Then click on Employer Issues then Campaign Question. Put your campaign title as the message subject. I am waiting for you to approve my Campaign “Title Here”. From here, just send the message and wait for your campaign to be approved. Keep in mind that setting your speed to high in your campaign will alert AdSense of your ad and probably get your AdSense account banned. Set your speed to 75-100. To keep your CTR low, use sites like http://www.easyhits4u.com/ to bring traffic to your site. Good luck in your AdSense ventures! Feel free to share your AdSense journey or tips with us in the comments below.